What's New: Reviews of books that have recently been published or republished, that are in the news, or that we have recently added to the complete review's archives, as well as review-overviews of titles that we haven't yet reviewed, but where we've collected all the links and review-summaries for you. The Best: Our guide to the books we think are most worthy of your attention, the highest rated books, and our own bestseller list (of most popular reviews). 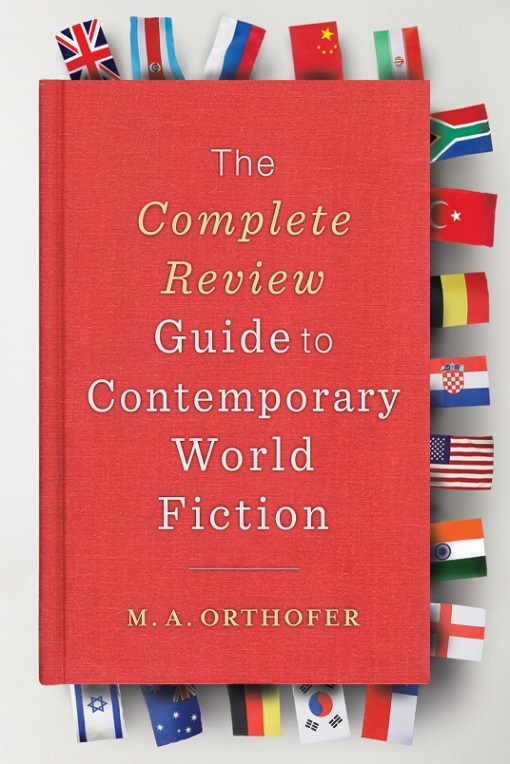 The Rest: Foreign books (that haven't been translated into English yet) that you will find at the complete review, books and authors that you won't, our lowest rated reviews, and the most unusual, most obscure, and most underappreciated books under review. The Review Index: Our index of books under review at the complete review, arranged to make it easy for you to find the books you're looking for. With indices by author, title, genre, national origin, among others. Links: Links to other relevant sites, including book review and publishers' sites from all around the world. If you can't find what you need at the complete review, we hope to link you with a site that does provide the information you are looking for. The weblog at the complete review, providing opinionated commentary on literary matters and more. : the complete review Quarterly. A quarterly review providing information on the state of the site, as well as the latest from the Literary Saloon. Criticism beyond the reviews at the complete review, in the form of essays, dialogues, fiction, and poetry. Appearing February, May, August, and November. Literary fiction at the Literary Saloon.